I probably needn’t say much about this book—it’s been enormously popular for years. 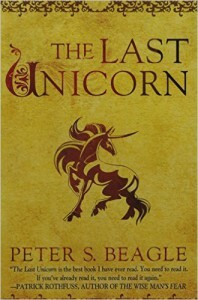 Poignant is the best word for this story of a unicorn who goes on a quest to discover if any others of her kind still live. 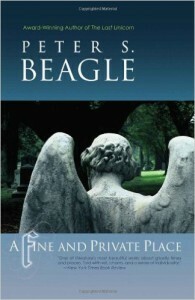 Poignant as well is Beagle’s A Fine and Private Place, in which a man dies to discover he is a ghost who cannot leave the cemetery grounds; it’s a love story, with some great humor. Again, I’m stretching the term novel to include novel-length collections of short stories, but hey—it’s my web site. I wouldn’t even mention these books, since they’re long out-of-print, but almost everything is available on the web, and these can be had for a reasonable price. Of these two books, the first is the better read, so try it before you order the other. 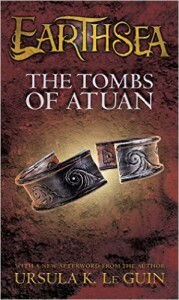 These are anthologies of ancient works of fantasy—things like excerpts from The Volsunga Saga and The Grettir Saga (translations from the Norse); The Russian Kiev Cycle, and The Travels of Sir John Mandeville. I realize most people won’t want to read these books. I recently began searching out the volumes from which these excerpts were taken, and I have to admit I prefer this kind of thing in small doses, but if mythology and ancient stories are your cup of tea, you should try them. I have no explanation for this one. I’ve read this book at least three times and I always like it, even though it’s pretty much a pulp-era story of three people who find themselves in another world. 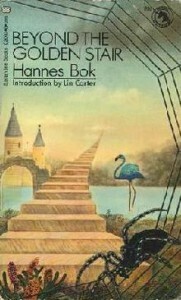 A much better book than Bok’s other novel. If you happen to read it, let me know what you think. 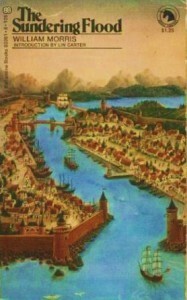 Sword was Anderson first novel, published when he was still in college. It’s a pretty amazing work just on that account. The pace is unrelenting in this story of two infants switched at birth, one raised in Elfland, the other as a mortal. Anderson was heavily influenced by the Norse sagas, and this has that feel. 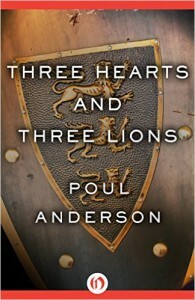 Three Hearts and Three Lions is a less driven book, about a man who finds himself in a medieval world of fantasy. 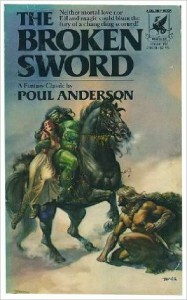 Poul Anderson was a gifted writer, who I had the pleasure of meeting before his passing. 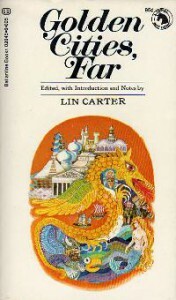 Smith never wrote a novel, though he did start one, and these are short stories set in the northern country of Hyperborea. They have been available in various collections over the years—mine is the Ballantine Books edition. I’m not certain why these particular stories are the ones I like best—Smith wrote in a rich style and all his fantasy stories are good, though his science fiction is often only adequate. 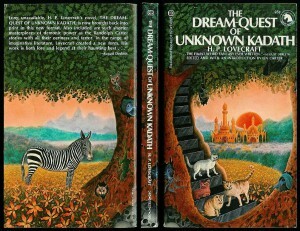 A lot of people like the stories set in the dying continent of Zothique, but some of those are a bit grim for my taste. 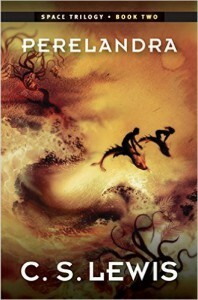 To me, those tales set in Hyperborea are his best work. These are two novelettes put together in one edition and long out-of-print. The individual stories are: Coopers’ Firebird and Green’s From the World’s End. The only thing the two have in common is that both utilize the phoenix motif. I like them both, though I prefer Green’s little tale of a young couple trapped in a fantastic house. Hmm. This may have been a subconscious influence on my own work. 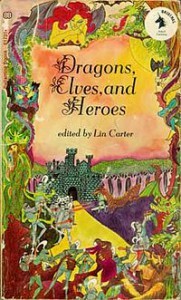 Although this appeared in the Ballantine series, it qualifies as fantasy because of the fantastic stories the characters tell rather than what happens to the protagonists. Set in London, it’s a series of short stories Machen wove into a novel, about two men in London following what seem to be a series of unrelated events. I recently re-read the book, and realized for the first time what a huge influence it was on H. P. Lovecraft, who emulated not only parts of his writing style, but used Machen’s idea of a pre-human, reptilian race. 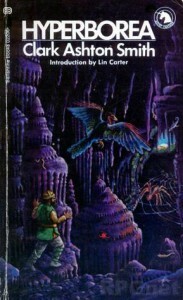 I would be bold enough to say that the Cthulhu mythos would never have existed if Lovecraft hadn’t read this book. Try it for yourself, and see if you agree. 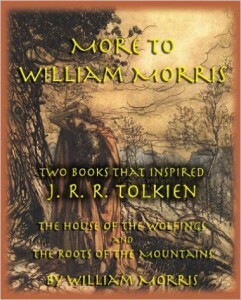 Morris is considered the one who created the first invented fantasy landscape in a modern novel. The Well at the World’s End is generally thought to be his best book, but I disagree. Well wanders about plot-wise, and despite the terrific idea of a quest to the well of peace at the end of the world, isn’t as much fun as it sounds. Sundering, on the other hand uses the simple idea of two lovers separated by a river and their struggle to reach one another. Wolfings is the heroic story of a group of barbarians facing a Roman army, and is full of the kind of high adventure that inspired Tolkien. I am not as drawn to Lovecraft as a lot of fans. His efforts to promote terror through cold scientific description usually leaves me, well, cold. 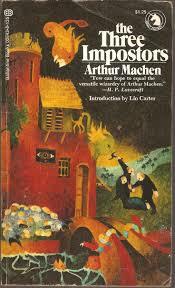 But during the early stages of his career, he was influenced by Lord Dunsany to the point of imitation. Kadath, and the short stories associated with that writing period, are quite different than his later work, though there is certainly a hint of gruesomeness in the novelette. Lovecraft’s hero takes a journey through the Gates of Slumber into the land of dream, on a quest to the home of the gods. A story unique in literature. 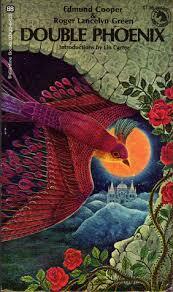 Most of you are probably familiar with LeGuin’s work. She is an enormous talent. No surprise that I enjoy her fantasy and science fiction more than her literary work. (I’m using the term ‘literary’ as a genre; everything she writes is literary in that it is polished and sophisticated.) 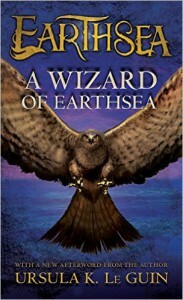 Besides the Earthsea trilogy being a great story, following the exploits of a young wizard in training (Yes, LeGuin thought of that idea first), it is written in a deceptively simple style that I have spent more hours than I want to admit trying to imitate. 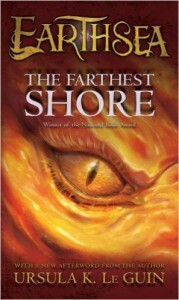 She has, of course, continued the Earthsea saga in short stories and novels. All are worth reading, but the first three are my favorites. As you can see, I’m a huge fan of Lewis. His was one of the most brilliant minds of his generation. I am still working on becoming as educated as he was when he was thirty. I came to his Narnia books while home for a couple weeks from college. It was very cold outside and our house was heated by a floor furnace in the living room. 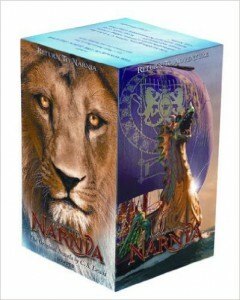 Tucked away in my room, my face baked by an electric heater, the rest of me chilled, I read the Narnia books one right after the other. I emerged a week later remembering almost nothing I had read in the blur of immersing myself so totally. Strangely, it is one of my fondest memories. A few years ago, I went back and read the books, and was delighted by the level of sophistication. I don’t seem to like any one of them better than the others; they’re all as good as everyone says. 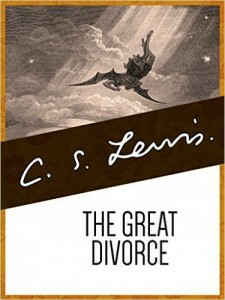 The Great Divorce is my all-time favorite of his, the story of a group of people who board a bus from Hell to Heaven. When I first read this book in college, I found his characters too incredible–“real people don’t act like that”– having lived a bit longer I am boggled by his insight into the human heart. The part where he meets his literary mentor, George MacDonald, is touching. 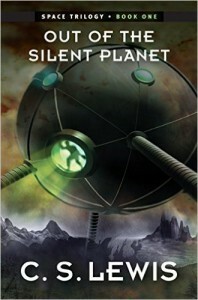 Although billed as science fiction, the use of the supernatural in Out of the Silent Planet and its sequel, Perelandra, puts these books firmly in the fantasy realm. Ransom’s voyage to first Mars, where the animal-like inhabitants are completely lacking in evil, and then Venus, where the Adam and Eve of that planet are facing their first initial temptation by Lucifer, are fascinating. Our scientific knowledge of Mars, Venus, and space travel have come a long way from when these books were written, but I don’t think it takes away from the enjoyment of the stories. The third book in the series, That Hideous Strength, is a far weaker volume, in my opinion, but anything Lewis wrote has substance.